Home > Why a “Survival Condo”? 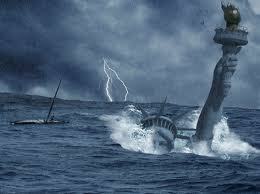 How do you prepare for unforeseen events such as world-wide economic collapse, or a massive natural disaster? Where should I build a survival facility ? Should the facility be on a mountain, in a mountain, underground, or maybe on an island ? What kind of food do I need ? How much food do I need ? How do I store the food and how long will it keep ? Where can I get water and will it be safe to use ? What if the air is contaminated, how do I filter the air I breathe ? Can I protect my family from a storm as strong as a tornado ? Can I protect my family from a volcanic eruption, meteor, or comet strike ? How can I generate electricity and for how long ? How do I provide for medical care ? If I build a survival facility, how do I protect it from intruders ? How do I stay warm or cool ? How do I communicate with the rest of the world ? How do I keep from getting cabin fever or going crazy if I’m “off-grid” for years ? How do I provide toilet facilities ? What happens when I run out of food ? What other supplies, spare parts, and tools will I need ? What weapons do I need and how do I use them ? How do I care for my small children ? These a just some of the complex questions that you will need to address while deciding how to prepare for living “off-grid” for extended periods of time. Most people would agree that this task would be overwhelming, time consuming, and difficult to complete. Another aspect of long-term “off-grid” living would be the difficulty in having the expertise, time, or energy to maintain any hint of what you now know as a “normal” life. 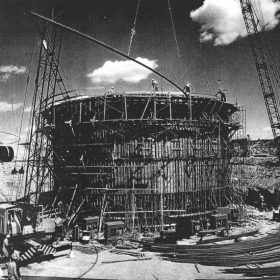 We have started with a structure that was built to withstand a nuclear explosion and to this day is considered to be “one of the strongest structures built by man”. This structure we have acquired is an Atlas “F” missile base. The U.S. Army Corps of Engineers built these missile bases in the 1960’s and there were only 72 of them built. The concrete structure alone was built at a cost of approximately $15 million dollars in 1960. Cost estimates of duplicating the concrete structure run as high as $60 million in 2008 dollars. Our facility has undergone years of cleanup and monitoring by the Environmental Protection Agency and has been granted a “clean bill of health”. The facility has had all the missile infrastructure removed and we are now down to the clean shell. Our design includes all infrastructure support for between 36 and 70 people for more than 5 years completely “off-grid”. The concrete used in the construction was a special type of concrete with an epoxy additive for added strength. The concrete walls in the facility are between 2.5 feet and 9 feet thick. There are more than 600 Tons of high-strength rebar in the structure. There are two underground structures, one two-story and one fourteen-story structure. Together there is just over 54,000 sq. ft. of underground, nuclear-hardened, protected space. Each residential unit is provisioned with a five-year supply of freeze-dried and dehydrated survival food per person. This is high quality food that has a shelf life of more than 20 years and is stored in special oxygen-free containers. This means that a Full-Floor residential unit has a 30 man-year supply of food and the Half-Floor residential unit has a 15 man-year supply of food. The facility has a three-source (primary plus two backups) water supply and reservoir system that includes a sophisticated purification system that insures the water supply is safe for consumption. The facility also has a three-source (primary plus two backups) electric supply. These sources include the local electric grid, a large wind turbine, and a diesel generator. The facility has a military grade security system that includes visible spectrum cameras, infrared cameras, proximity sensors, microphones, trip sensors, passive detectors, as well as confidential defensive systems both automated and manually operated. The facility access includes numerous levels of blast doors that are designed to withstand sizable explosives. 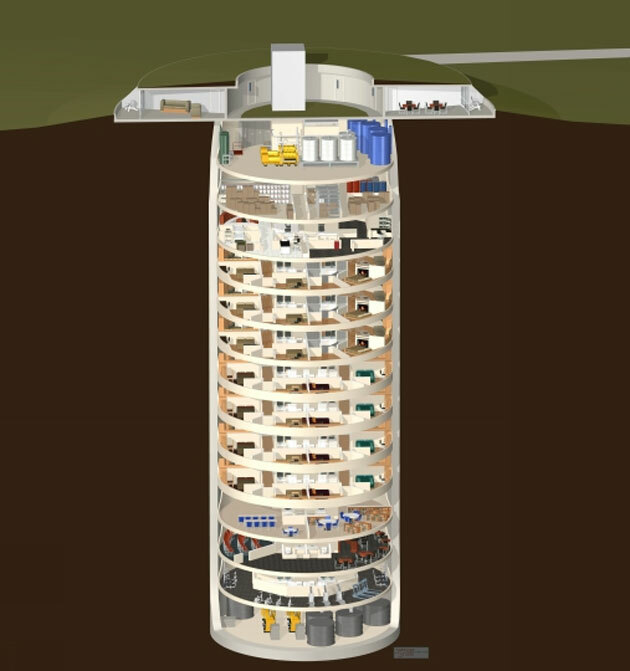 What we get from this former missile silo is a superstructure that would be nearly impossible to reproduce from a financial perspective today. The “bones” of the silo are simply massive. The modernization process of adding the “creature comforts” and modern technology for added security and reliability will bring this facility into the present day. The completed project will be an ultra modern survival bunker with the latest in survival gadgets, so don’t think of this as a dreary concrete basement hideaway. This is the safety that you need with the kind of comfort you’d come to expect from luxury condo.